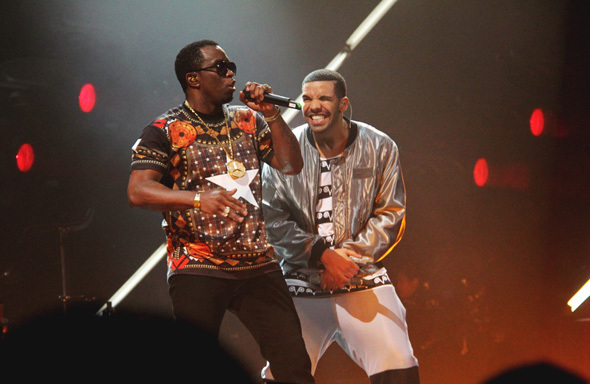 0 To 100 Real Quick: Diddy Punches Drake Over Song! Drake can’t seem to stay out of trouble. According to reports, Diddy assaulted Drake early Monday morning because of a feud over the song “0 to 100/ The Catch Up” – which was just nominated for two Grammy’s (Best Rap Performance and Best Rap Song). Here’s the story….Diddy punched Drake at LIV nightclub in Miami Beach, and we were told it was because Diddy felt disrespected by the rapper, and now we know why. Our sources say, producer Boi-1da had given both Diddy and Drake the song to record more than 8 months ago. We’re told Diddy sat on the song, which frustrated Drake because he wanted to record it. So Drake recorded the song on his own and it did well, which pissed Diddy off. We’re told Drake ended up at an ER because during the ruckus, he hit his shoulder and exacerbated an old injury. This entry was posted in Gossip and tagged 0 to 100, Diddy, Drake, fight, hospitalized, LIV, Miami, nightclub, punch. Bookmark the permalink.